Comment: Fast dispatch from the UK. 100% money back guarantee. Save thousands of dollars in Pr agency fees, this book will tell you which digital promotion tools & marketing techniques music publicists are using themselves! 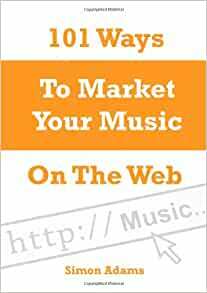 101 Ways To Market Your Music On The Web is a great book for independent artists, bands and labels seeking to market and promote their music via the web at little or no cost. Written by MyMusicSuccess Co-Founder Simon Adams, he shares his 25 years of music industry experience as an artist, producer, publicist and promoter to help independent musicians around the world harness the power of internet music promotion This 256 page book is the most comprehensive and practical manual ever compiled on digital music marketing. With interviews and quotes from music industry executives, promoters and successful independent artists you'll also gain an insight into some of the ways others have successfully used the world wide web to build their fanbase, collaborate in new projects, and increase the exposure of their music.